Now that the third bimester is over, I’m accumulating more and more finished student projects, and therefor taking over more and more of the school! I’m running low on hallway space, so I’ve started taking over the teacher’s lounge, office, and the walls of my own room. 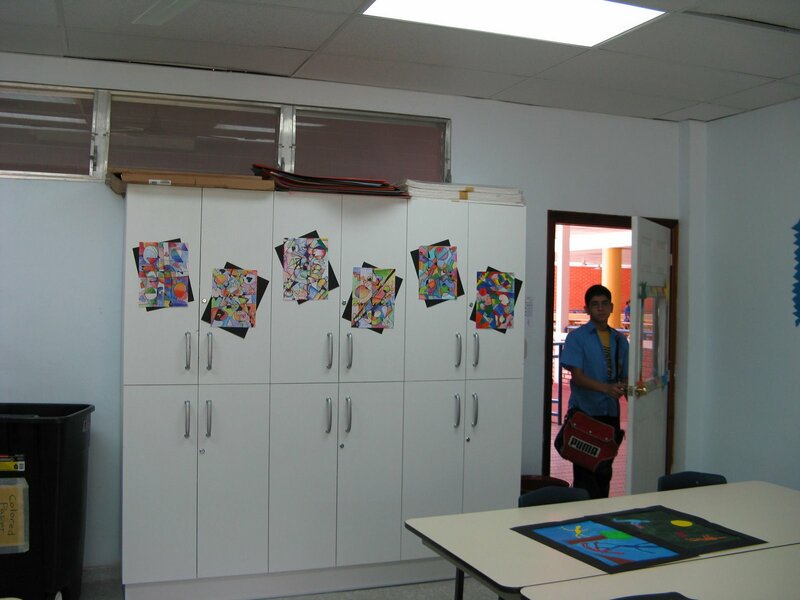 I finally put some decorations on my cabinets, in the form of student work! Also, that is one half of my math class headed in the door. More student art around the room! 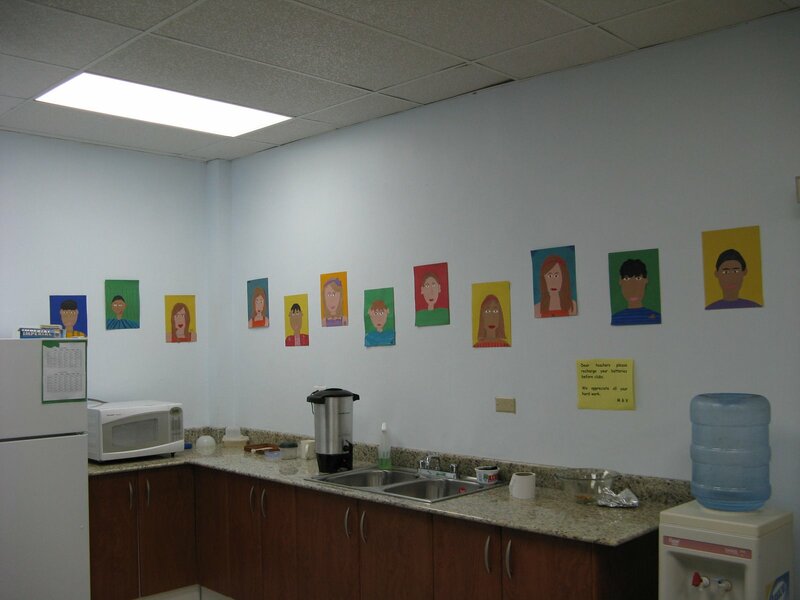 Sixth grade self-portraits in the teacher’s lounge. 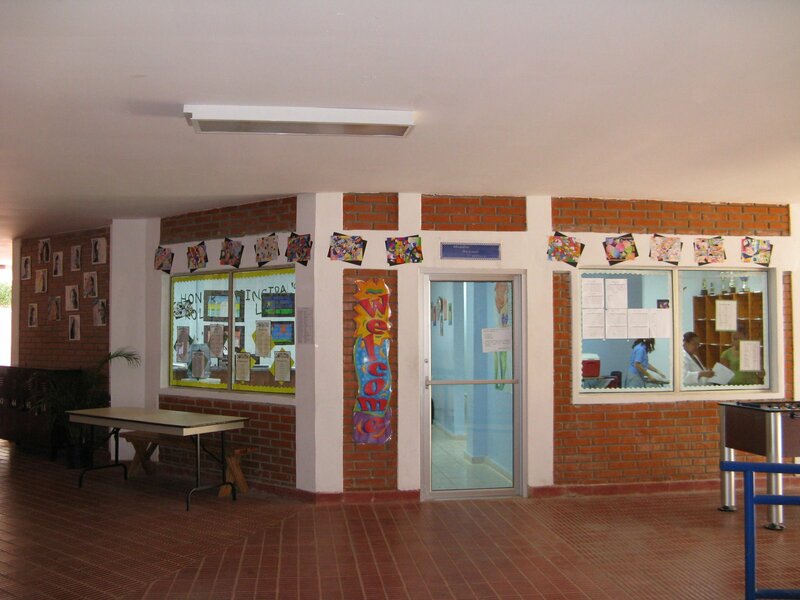 The outside of the middle school office. 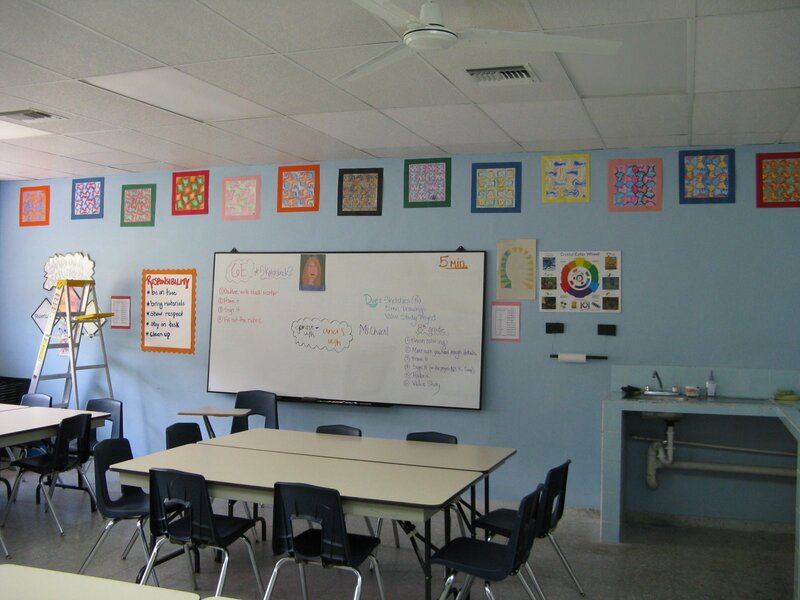 Inside the middle school office. 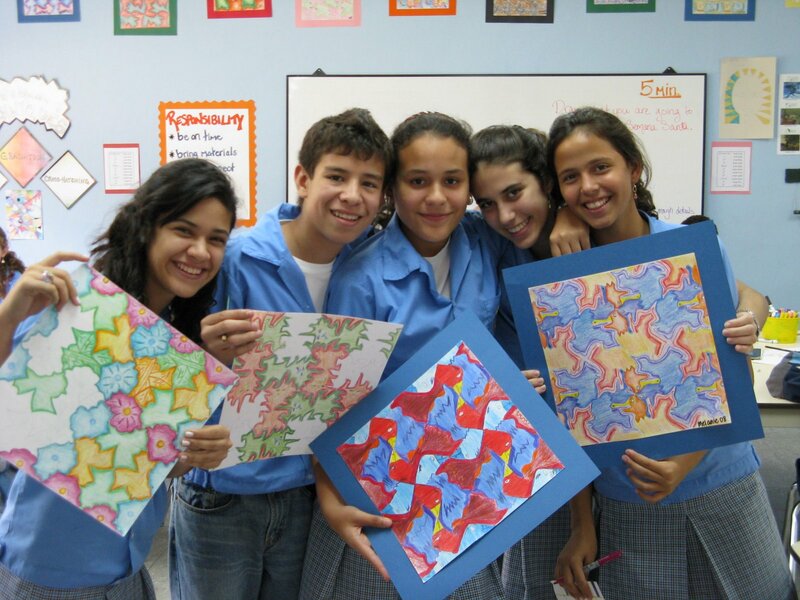 A few eighth graders and their tessellations.